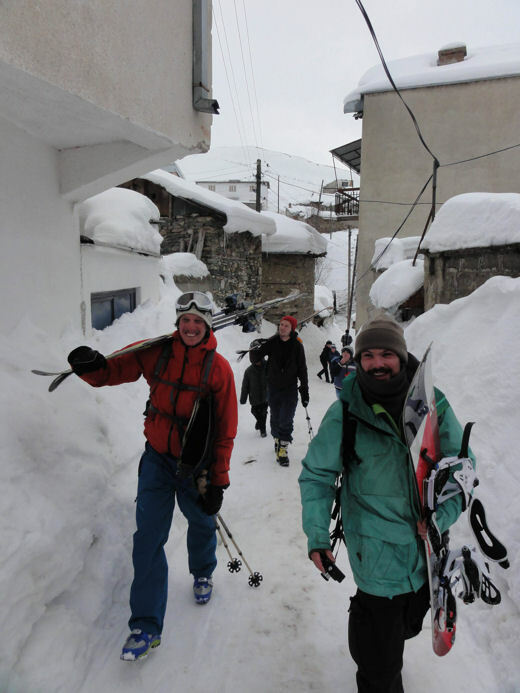 Last winter Ambush rider Anderl Zissler took a splitboarding trip to Kosovo, not your usual snowboarding destination. Sandwiched between Serbia, Macedonia and Montenegro in the heart of the Balkans, Kosovo’s boarders are lined with peaks that climb to around the 2500 meter mark. 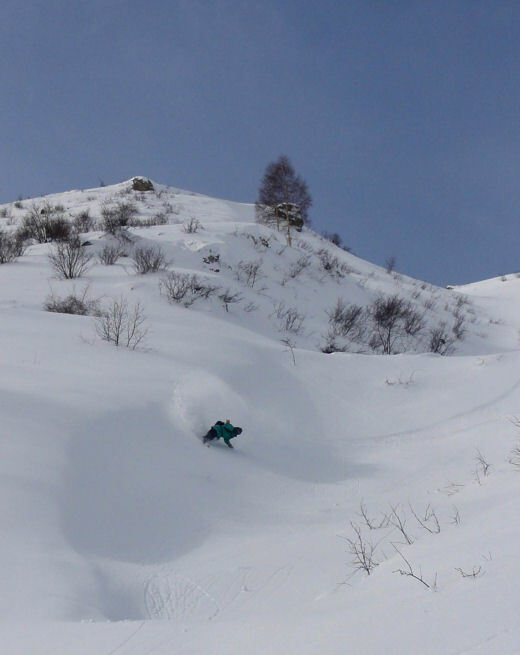 The A.R.C caught-up with Anderl to find out more about splitboarding in Kosovo. The Kosovo trip was a spontaneous thing. Before booking this trip I had just finished building my spiltboard out of a Paradigma 159, so I was extremely motivated to have some adventures with it. We chose Kosovo because I heard on the news that there was a serious “problem” with too much snow. What resort (resorts) did you go to? We went by plane, Kosovo is so close, just 1,5 hours from Munich Airport! At home we checked out some places to ride, especially Brezovica, the one and only real ski resort in the south of the country at the border of Mazedonia. As we arrived in Pristina, the capital city, we realized that there was no chance to get to the chosen resort due to the snow situations, so we landed really randomly in a small mountain village called Brod, which was also a real adventure to get there (kudos to the taxi driver!!!). Actually we were really lucky to get there, although the “ski resort” was just a small lift which wasn’t working. What kind of freeride terrain do they have there? The terrain was amazing! Not too flat, not too steep, nice bumps and hits, good overview, no sharks,… just perfect for doing a tour with a Splitboard! There are also some serious lines to do. The only problem was the windblown snow. On one side of the mountain there was too much snow (avalanches!!!) and on the other side it was packed, like riding concrete! You don’t want to take any risk up there, you are all alone in the mountains and mobile phones don’t work, so you’re all on your own. What is the resort/lift infrastructure like? We hadn’t seen girls for days, the continuously worsening jokes, hygiene and behaviour of us guys let us come to the decision to leave this amazing place after about six days. The snowfalls calmed down and we finally made it to Brezovica! Our legs were hurting after days of hiking so we were really looking forward to use the lift and do some easy runs with some local girls. Of course things turned out different. The guys running the resort hadn’t paid the electricity bills so the provider turned off the power. Hiking again! So all in all it was good to have the splitboard! Were the local people friendly? Was it difficult to communicate or did they speak German or English? The locals were a big surprise. I’ve never been to a place before where people were that friendly, honest and hospitable. Communication was so easy! So many of them spoke German (many of them were offered sanctuary during the war or they have a friend or relative working in a German speaking country). The whole trip there weren’t any problems with communication. Was the resort expensive? How much did a lift ticket cost? How much was a beer? How much was accommodation and a meal? I have no idea how much a lift ticket is, I never bought one! The prices are really low in every situation! A good meal (most of the time you eat a lot of meat) costs less than four Euros, a beer is one Euro and a coffee 50 Cent, cigarettes 1,50 Euro. Accommodation was about 10 Euros per night for a good hotel. What was the local food and drink like? Any favourites? The local food is amazing; you eat a lot of meat there, especially lamb and beef. You also have a lot of tea and coffee and cigarettes. It seems like everyone is smoking there. I even tried to become a smoker but it didn’t really work out. Did you see any remnants of the Yugoslavia / Kosovo war? War is over for more than ten years now! There are still some remains like old military bases and of course the KFOR, the peacekeeping force. In some places they still patrol. Would you visit Kosovo again? Yes, I definitely want to go there again! Now we have some good maps of the mountains which makes planning tours and looking for lines way easier! Maybe next year. Here’s the answer to THE question you didn’t ask: Yes, the girls are extremely beautiful!